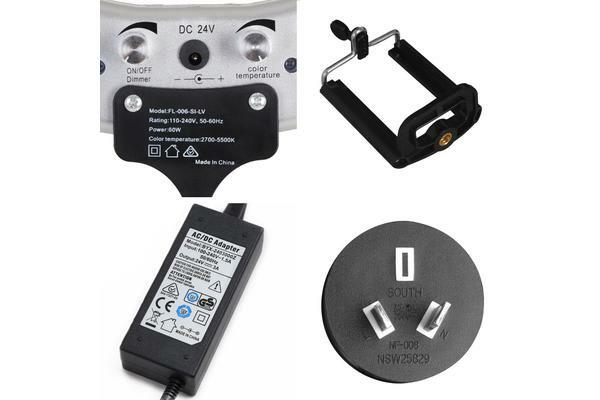 For the serious shutterbug or enthusiastic hobbyist who is into portrait, beauty and makeup or macro photography, our LED Ring Light is just the accessory you need to capture some great up close shots. 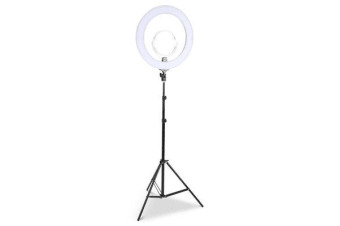 Suitable for mounting both DSLR and smartphone cameras with the supplied holders, our 19” ring light provides adequate diffused lighting with the ability to vary the intensity of the 448 LED bulbs with the dimmer switch. 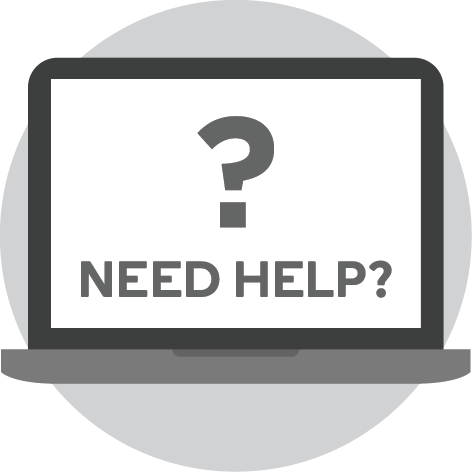 With the dimmer, you can control light intensity and colour temperature of between 2700K and 5500K to get your preferred lighting and accurate hues for the subject matter. 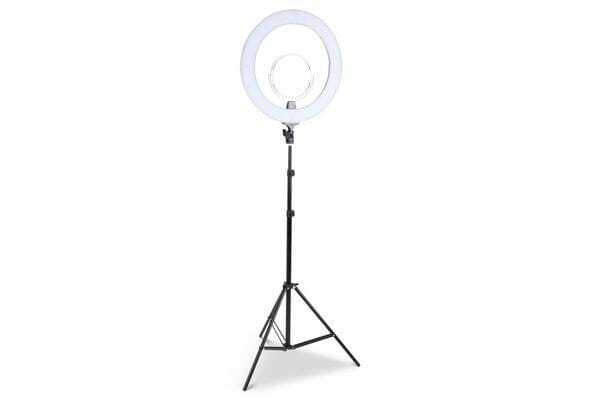 The 5200 lumens ring light fits easily on any standard camera stand and is height adjustable from 80cm to 200cm with a 360degrotatable use. 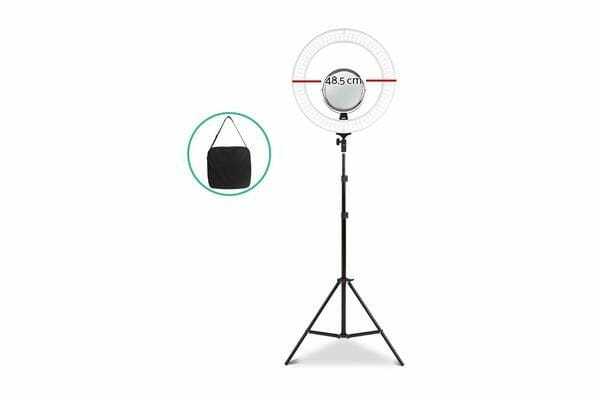 The light also comes with a bonus double-sided mirror to assist with makeup, and a carry bag for easy transportation.